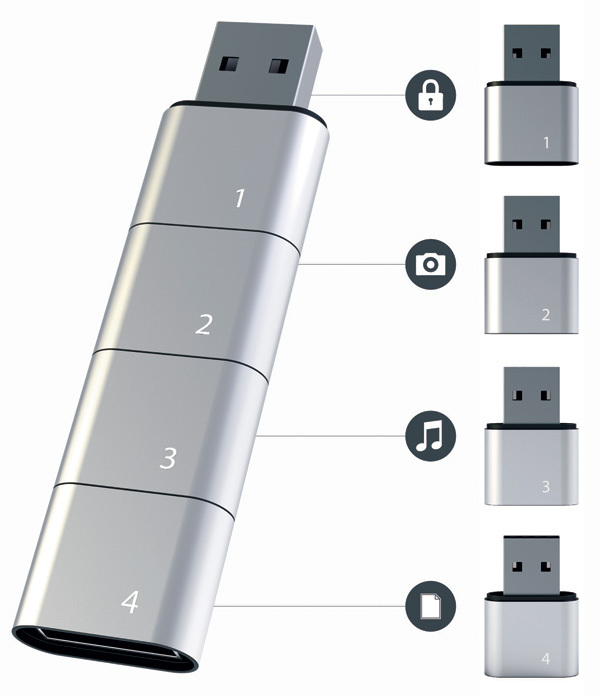 Designer Hyunsoo Song from SADI has come up with a cool idea of using USB stick in terms of various compartments. By seeing this device, I remember the old days where we used to use a single partition in my Windows 97 PC. There was no chance of various creating various partitions because of expensive memory. Now it has become bit cheaper and affordable. Now we have flexibility of partitioning memory into various partitions like primary and secondary partitions. 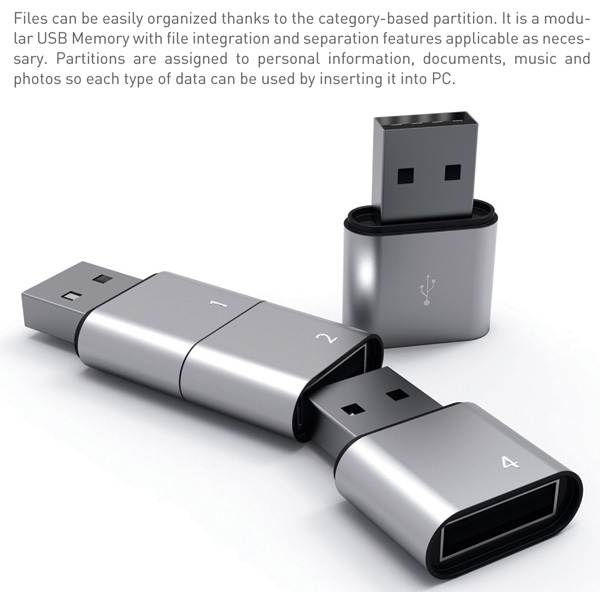 Usually primary is used for Key data and the other partitions to store Music, Photos and Personal files. 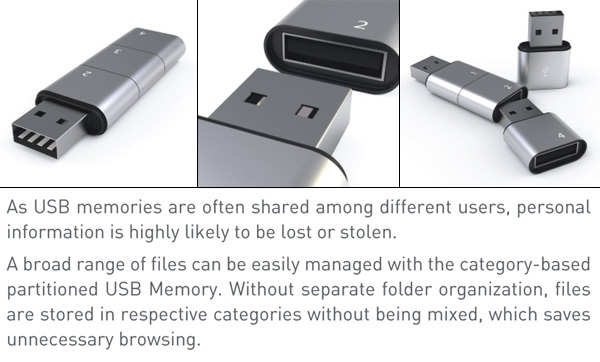 Similary, Memory compartment USB stick works in the same manner. The compartments will be numerically numbered. Based on the number you can decide what to store in them. It simple but cool concept. 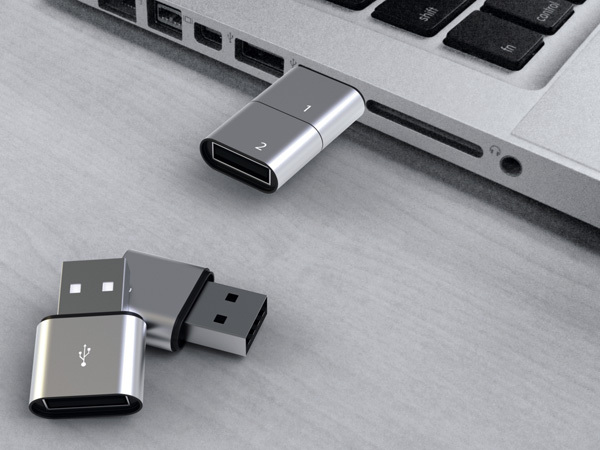 There will be occasions in everybody life where we are forced to share USB or memory sticks without knowing what personal or private content in it. This device will be an ideal solution. What do you think about this device ? Do you think it is cool ? If you are given a chance to own one, will you buy it ?